Scott’s professional career spans 20+ years working with business leaders and owners in developing and motivating high performing teams to implement strategic plans designed to exceed growth targets. His background and experience includes operations management, strategic planning, product development, process improvement, domestic and international business development, sales and launching small businesses. A proven leader with extensive experience implementing new channel introductions in consumer and commercial markets, integrating acquisitions, developing and mentoring leaders, organization design and leading start-up businesses. A change agent with a track record of effectively creating and aligning cross-functional, multicultural and strategic partnerships to develop customer focused strategies in domestic and international markets. This broad background provides expertise to the vast array of challenges, opportunities, issues and problems top executives and entrepreneurs face in today’s challenging business environment. 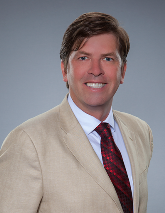 Scott has a MBA from City University of Seattle and a BA in Business Administration and Public Policy from Eastern Connecticut University. He is certified in Lean Six Sigma process improvement from Moresteam and Ohio State University. The Alternative Board of South Tampa is a selective, by invitation only, business membership organization made up of Presidents, CEOs & Owners who meet in small structured business round table on a monthly basis to improve both the personal and business goals of their companies. Serving business owners in South Tampa and Hillsborough county, The Alternative Board helps owners of privately held businesses and nonprofit organizations to overcome challenges and seize new opportunities by harnessing the real-world knowledge and support of fellow business owners. This combined with monthly coaching provides accountability to achieve business and personal goals. Based on the input I got from my board on some specific things I should include in client proposals I was able to get two jobs valued at $1,300,000 that I feel I otherwise would not have gotten. And by working with one of my TAB board members, I’m saving $10,000 per year on my company’s medical insurance premiums – with better benefits. The savings drop directly to my bottom line – thank you TAB!